First of all  thank you for the work you are doing in DIY audio and for your wonderful source on the web! I've made them only 276mm width and the black acrylic panel is 240mm width. Height is maintained. 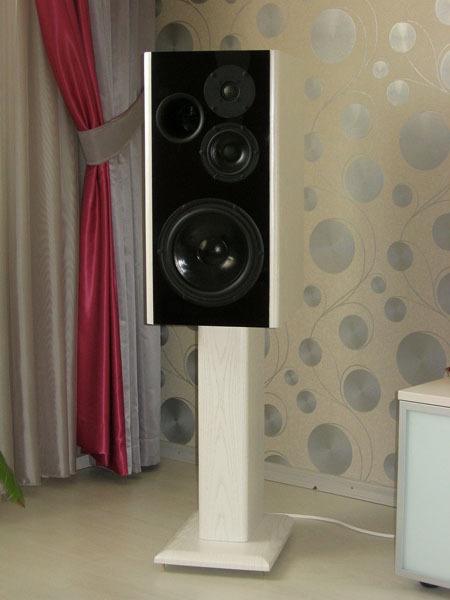 Stand leg have the same volume with the speaker, additionally +5,5l to the volume. It's attached with acrylic glue and huge screws. So the total NET volume is slightly higher than yours and is close to PMS  39 liters. 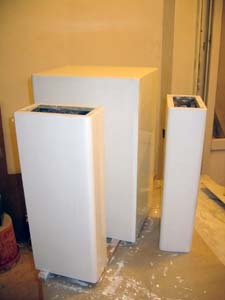 It was hard to find a place for the vent tube with my baffle size, so the mid box is not really cubic. The bottom plate of the stand isn't finished yet. So will send you some photos later on and will try to achieve better picture quality. 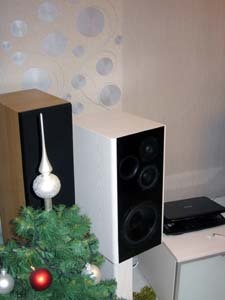 Some people said that they look even smaller than a floorstander 22*110*30cm (WHD) next to them. 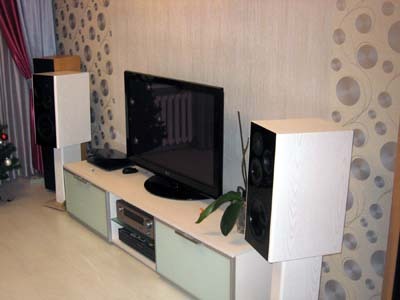 Narrow black panel make them less bulky. 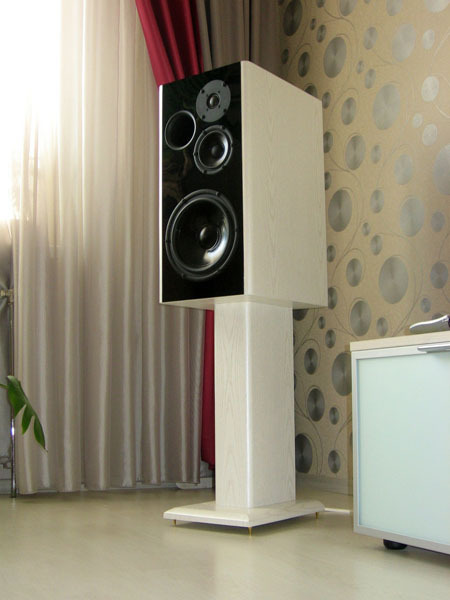 I hope this information and photos could help to anyone who is searching for a wonderful 3-way speaker on a budget but got no place or skills to build your PMS or huge classical standmount speaker couldn't be implemented to the non-classical interior (Waf indeed:). So was I.